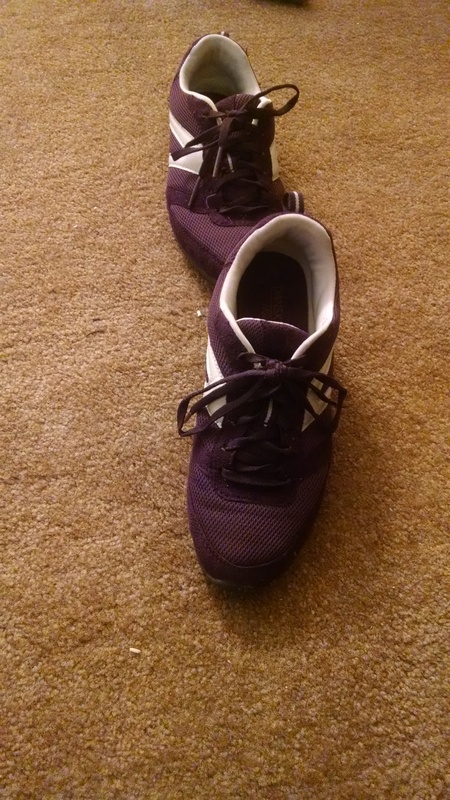 I’m staring at my running shoes this morning. And they’re staring back at me with their permanent bows that I never bother untying and judging me for sitting in my chair when I should have gone with my husband, taken the car, and gone running this morning like I thought about doing last night. Thus far this week I have been failing them. Shoes are so judgmental. Really, though, I haven’t been doing well thus far this week, but it’s only Tuesday, so that could change. I was so proud of myself last week. I went running three times, all on my own. Well, Sunday was with my husband, but that was the only one. I was a big girl and I got out there and ran all by myself. I did really well, too, making several personal bests: fastest mile, longest distance and longest workout being some of them. How do I know this? Runkeeper. My husband discovered the Runkeeper app at some point when he started running and passed it on to me when he started dragging me out in the mornings on occasion. I didn’t actually pick it up until we started going to parks to run. If he kept on the hill in front of our home, I don’t think I would be running to this day. But we tried out a few different parks and while they are all an unfortunate 10-20 minutes from our apartment, it is so much easier to run on a trail that’s mostly even and not meant for cars. Our favorite park has a trail that’s 1 mile and one that is 1.8 miles. I’ve been doing the 1 mile consistently and then a little more around the parking lot or a smaller portion of the trail. Next time I’m going to try out the 1.8 for real. Last time I did a little bit of it but got intimidated and decided to just loop around back to the other trail where they connect. I still managed my farthest distance, though, which is 1.7 right now, so I guess I could have done it. Runkeeper is great as far as keeping track of things and encouragement goes. It’s friends function is not so great, but that can be forgiven once the frustration of trying to add your sister is over. But really, it’s a very nice little app. I listen to podcasts when I run and every five minutes a nice voice interrupts them to tell me how long I’ve been running, how far I’ve run and what my average pace is. 15:15 is around my average right now. That’s 15 minutes and 15 seconds per mile. Which is an improvement over the 16 1/2 minutes I was doing when I started, so there’s that. I also managed to jog the whole first mile last time I ran, which is also an improvement for me. I am very pleased with this progress. As is Runkeeper. It congratulates me every time I complete a run and tells me how awesome I’ve done. It’s very encouraging to have an app that tells you you’re doing great every time you do anything at all. Despite my current failings to get out and run, which will hopefully change soon, I have gone and done something crazy. I signed up for my very first 5k which is in like 26 days. Originally my goal was to run a 5k in October with my family. They do it every year and my mom really wants us all to participate. I saw this as an opportunity to join in something that my husband really enjoys, spend some time with him, and find another thing to do with my cousins. I debated on doing one in May, but 5ks sound really intimidating as a new runner and I wasn’t ready. I figured I’d be ready in October for sure and by then it wouldn’t be so scary. Then this came up. PurpleStride 2015 is a 5k held by the Pancreatic Cancer Action Network to raise funds and awareness for pancreatic cancer research and patients. A good friend of mine put this on Facebook last night. Her mother has been fighting this type of cancer for almost a year. She’s a beautiful, strong, Godly woman and in the midst of this trial she is still praising God and supporting her family. She’s awesome and I want to support her in any way I can. So this I can do. I can run in a 5k I may or may not be ready for and I can run to the best of my ability, because she’s worth it. And I’m going to ask you guys to help out too. 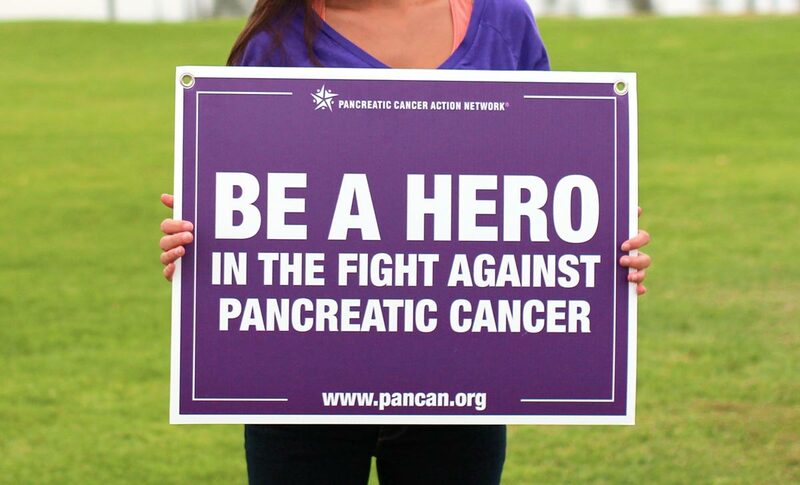 Click here to donate in support of the Pancreatic Cancer Action Network and support those fighting for better treatment options, and fighting for their lives. You don’t have to give a lot, anything will help, but I encourage you to do so, if you can. If you can’t, I ask that you pray for those in the fight and those in the race. We need all the support we can get! I’ll keep you all updated on my progress in the next few weeks leading up to the race and I’ll be sure to tell you all about my first 5k experience. Have a lovely day, my friends! Honestly, that’s what sets it apart from other running apps for me — they all have the same basic features, but runkeeper is where my friends are, so it’s the winner for me. I’m glad that it’s working out for you; running is so hard to get into and stay into, it’s great to find something to make it a little easier.